2012 came and went. It was not the end of the world. However, it definitely was a drama-filled and shocking year in the pageant world. It could almost be described as the end of the pageant world as we knew it. It was the year when the headlines were all about dethronements, replacements, the fight for transgenders to be accepted as delegates, home victories, a case of serious corruption allegations against a major international pageant, and of course a very shocking claim by a Miss USA delegate and the outcome of her fight against Donald Trump and the Miss Universe Organization. In an interesting reversal of the two oldest and most prestigious pageants, it was announced that Miss World would now be held around summer or fall (in the Northern Hemisphere) whereas Miss Universe moved to December in the year 2012. In stead of Miss World being the last major pageant of the year, it now became the first. FLIP-FLOP: Miss World was the first major international pageant of 2012. With the finals of Miss World being brought forward, it meant that a lot of national pageants who were traditionally held later in the year had a problem. The Miss World Organization announced that for 2012, and 2012 only apparently, runners-up or designations would be accepted. Some organizations, like Miss World Brazil, hastily organized a mini-pageant to select their Miss World delegate. Other organizations from Albania to Slovenia, the Bahamas to Peru, and Germany to Poland designated a girl to compete for the Miss World 2012 title. More than a quarter of the delegates at this year's Miss World Pageant were either designated or replaced. It was truly something that has never been seen on this scale before. Queen of Americas: The organizers of Miss Mundo Brasil organized a pageant where former Miss World Brazil delegates competed for the title after the date of the 2012 Miss World Pageant was announced. The winner went on to place in the top 7 of Miss World 2012 and was named Miss World Americas. This was the organization's best placements since 2006. I can say, with almost the greatest certainty, that never has there been a year with so many dethronements or winners stepping down as in 2012. There was drama in Bulgaria when the original winner of the pageant had to surrender her title after a voting mix-up was discovered. Fiji made the headlines when the winner of their inaugural Miss World Fiji Pageant was discovered to be too young and for weeks the battle to determine who would represent Fiji at Miss World made headlines around the world. After weeks of criticism, drama, and tension it was announced that the original runner-up would represent Fiji at Miss World 2012 and the 2012 winner would go to Miss World 2013 in Indonesia. 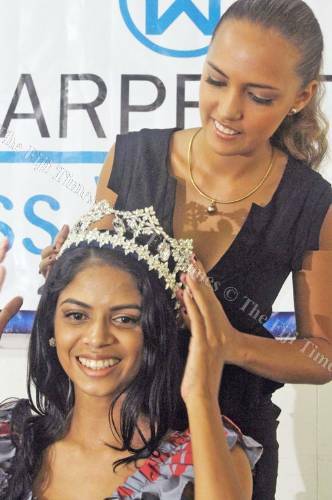 Weeks later it then appeared that the runner-up took over the Miss World Fiji title and the young girl who won broke all ties with the organization meaning that the 2013 Miss World Fiji winner will go to Miss World 2013 in Indonesia. Fiji's second ever participant at the Miss World Pageant. Then there was Nigeria, a country that traditionally sends its winner to Miss World and the runner-up to Miss Universe. It was discovered that the winner of the Most Beautiful Girl in Nigeria title lied about her age and was, in fact, too old for Miss World. So the runner-up went to Miss World and the winner of MBGN went to Miss Universe instead. 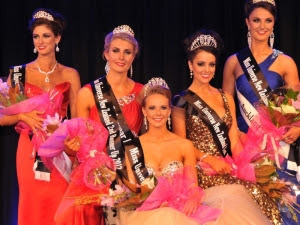 Another girl who was discovered as being too old was the winner of the Miss Ireland Pageant who was dethroned after only a couple of days giving the girl who was first runner-up for the second year in a row the right to take over the title and the opportunity to represent Ireland at Miss World 2012. The original winner later tried her lack at Miss Universe Ireland where she narrowly missed out on the crown, placing second. There was also drama in South Africa when Melinda Bam, Miss South Africa 2011, decided to withdraw from the Miss World Pageant. Immediately the press went crazy with rumors and speculations. From outrageous rumors of naked photos to wild accusation that Miss Bam was pregnant. Day after day, the speculation grew. The fact was just that Bam was an incredibly savvy beauty queen who knew that competing at Miss World could prevent her from her ultimate goal, becoming Miss Universe 2012. Bam's runner-up eventually went to Miss World where she unsurprisingly did not place. Bam's hard work and dedication to her dream paid off when she was by far the favorite to win Miss Universe. Even after not setting a foot wrong, she was shockingly left out of the top 5... but in a year of very surprising choices and results, was it really that big of a surprise?! Big drama also surfaced in the Dominican Republic. A few days after the winner was crowned, it emerged that she was married before and according to the rules of most international pageants, the winner should not be married or have been married before. The winner was thus unceremoniously dethroned and the title went to her first runner-up. In New Zealand it was citizen issues that caused a huge uproar. 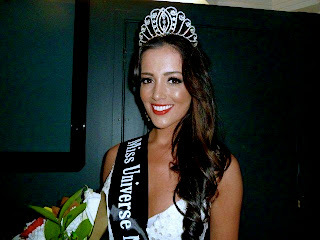 The winner of the Miss Universe New Zealand Pageant was a South African living in New Zealand. The problem was that she was did not officially have her New Zealand citizenship. A public war of words broke out between the national director of the Miss Universe Pageant and the original winner, Avianca Bohm. Bohm refused to give up her crown while the ND, Val Lott, tried to encourage her to do so. Recordings of an angry Lott yelling at Bohm were released to the media. 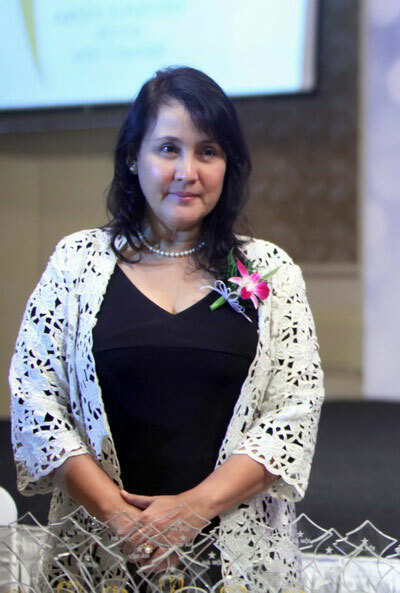 A deadline was set for Bohm to get her citizenship and when that deadline was not met, Bohm lost her title and it went to the girl who was a hot favorite in 2011 and 2012 but ended up as first runner-up on both occasions. The Miss Universe Slovenia Pageant was no more after the organization who held the franchise when bankrupt In Estonia and Cyprus the winners were also replaced and a runner-up went to Miss Universe instead. The winner of Sushmita Sen's last I am She 2012 Pageant was also replaced after a few weeks when it emerged that she was too young to compete at the Miss Universe Pageant and also broke one of the rules as she was the reigning title holder of another pageant. The runner-up had to step in and shockingly placed in the Miss Universe top 16. India is, however, without a Miss Universe franchise holder for now. Month after month we heard of dethronements and resignations and it went up to only a few days before the arrivals of the Miss Universe delegates in Las Vegas when the winner of the controversial 2012 Miss Universe Canada Pageant, Sahar Biniaz, had to withdraw. The official reason was that she had injured her foot and would have to be on crutches so she withdrew and gave her runner-up the opportunity to represent Canada. Later on rumors emerged that Biniaz was not 26 but in her early 30s. These rumours were never confirmed and Miss Biniaz still holds her title as Miss Universe Canada 2012, however, sadly she would not be able to represent Canada in 2013 as she would have aged out. SO NEAR, YET SO FAR: Days before travelling to Las Vegas for the Miss Universe Pageant, Miss Universe Canada 2012, Sahar Biniaz injured herself and had to withdraw from the Miss Universe Pageant in a heartbreaking twist of fate. Biniaz finally won the Miss Universe Canada Pageant on her final attempt before aging out. Her runner-up, Adwoa Yamoah, had to step in at the very last minute to represent Canada at the 2012 Miss Universe Pageant. Biniaz was allowed to keep her title. Speaking of Canada, the eyes of the world was literally on Canada this year when a young trangender, Jenna Talackova entered the Miss Universe Canada Pageant and was accepted as a delegate. A few days later her named disappeared off the website when the organizers decided to reject her due to the fact that she was a transgender. Miss Talackova decided to fight back for herself and the transgender community. She hired a famous attorney, Gloria Allred, and they challenged the age old rule of beauty pageants that the contestants must be natural born females. The snowball effect of this story was huge. In fact, in the history of beauty pageants there was probably never such intense scrutiny, discussion, and interest as in this story. Talk shows, news papers, news show... all around the world Jenna Talackova's story made headlines and the eyes of the world were on the Miss Universe Organization to see what their decision would be. In a decision that "officially" changed beauty pageants forever, Paula Shugart and Donald Trump announced that the Miss Universe Pageant would from now on accept transgenders. Talackova was welcomed back and got to fulfil her dream by competing at the Miss Universe Canada Pageant where she was first named one of the top 20, then one of the top 12 before she was eliminated when the final 5 were announced. It later emerged that another transgender was allowed to enter the Miss England Pageant which is the official preliminary in England to the Miss World Pageant. This went without the high drama and huge media avalanche that was associated with Jenna Talackova. Jackie Green was just quietly allowed by the Miss England and Miss World Organizers as any other girl who wanted to compete. Another story that definitely made an impact was the battle between Sheena Monnin (former Miss Pennsylvania USA) and Donald Trump and his Miss Universe Organization. Immediately after the 2012 Miss USA Pageant which was won by Miss Rhode Island, Olivia Culpo, who later went on to become Miss Universe, Monnin resigned as Miss Pennsylvania USA. First it was claimed that she could not associate herself with an organization that accepts transgenders but very soon after her claims that the Miss USA Pageant was rigged emerged. She claimed to have been told by Miss Florida the names of the top 5 in exactly the order they were announced during rehearsals. (The Miss USA top 16 and top 10 are judged "live" on stage during the telecast.) Miss Florida later claimed she was joking but Monnin held firm and news reports around the world carried the story of her claims that the Miss USA Pageant is rigged. The Miss Universe Organization did not take these allegations lightly and maintained the integrity of their pageants. Donald Trump sued Monnin and in December 2012 it was ruled that Monnin must pay the Miss Universe Organization US$5 million for defamation. EXPENSIVE LESSON: Sheena Monnin's claims that Donald Trump's Miss USA Pageant was fixed ended up being a very expensive allegation. A judge ordered Monnin to pay the Miss Universe Organization $US5 million in damages. Something that pageant fans also never thought would happen was that all three major, oldest, and most prestigious pageants were won by the countries they were hosted in. 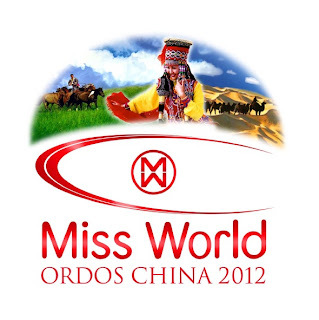 Miss China won Miss World 2012 in Ordos, China, and the world was shocked. Pageant fans around the world immediately started complaining that China only won because they hosted the pageant once again. These complaints came despite the fact that the eventual winner Wenxia Yu was a major favorite for the title of Miss China and Miss World. The shock was even bigger when Miss Japan, Ikumi Yoshimatsu, won Miss International in Okinawa, Japan. The Japanese owned Miss International Pageant had never crowned a Japanese girl before and fans were outraged when a delegate that was deemed less attractive than many of her predecessors finally gave the country it's first title at an event that was held on home soil for the first time since 2007. Japan in Japan and Miss Universe was won by Miss USA in the USA. Pageant fans around the world later feared that the host delegate of the Miss Earth Pageant, Miss Philippines would also win the title. Miss Philippines was heavily criticized for being out of shape and not attractive enought to compete at the highest level of a beauty pageant. Sighs of relief were sighed when stunning Miss Czech Republic won the Miss Earth Pageant even though more than a few eyebrows were raised when the host delegate placed second. The Miss Earth Pageant was heavily criticized for allowing their sub-par home delegate to advance to the top 8, top 4, and being the official runner-up. But still the pageant was seen as a major success because a stunning candidate won. However, later a shocking revelation was made by a Russian news agency that one of the owners of Carousel Productions, Lorraine Schuck was tricked by undercover journalists and agreed to "sell" the Miss Earth title for US$ 4 million. A video was released by the news agency where Schuck could clearly be heard agreeing to the possibility of influencing the results and the money would be accepted as sponsorship. Carousel Productions and Lorraine Schuck maintained their integrity and innocence in statements released to the media and Schuck did not step down. Many fans were left outraged and leading pageant website, Global Beauties, even went as far to remove the MissEarth Pageant from their Grand Slam list. to be removed from Global Beauties Grand Slam list. Schuck did not resign from her position. When the Miss Universe Pageant started, the host delegate, Olivia Culpo from Rhode Island was definitely named as a favorite. But she was never one of the top favorites. Many people felt that her busy schedule as Miss USA prevented her from getting enough rest or preparing sufficiently for the Miss Universe Pageant. Furthermore, Culpo (at 1.66m in height) is also one of the shortest Miss USA winners ever. While it was always a given that Culpo would place, most fans and followers believed that her road to the crown would stop in the top 10 round at best. There were only a few that believed that as the host delegate, she would be granted a top 5 spot but would probably finish in fourth or fifth place. Huge was the shock when Culpo, despite what some called a lacklustre performance, and even almost tripping in the evening gown round, and not the best response to her question emerged as the winner of the 2012 Miss Universe title. drama and controversy in the pageant world?! Only time will tell! 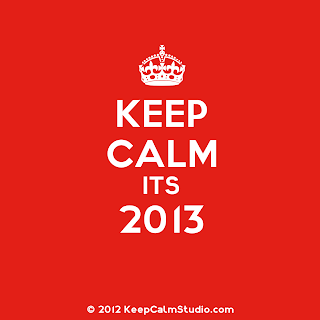 2012 was a year filled with drama, controvery and huge shocks. Never before in the history of pageants have we had a year like the one that just passed. It would be virtually impossible for 2013 to match or even top the drama that we witnessed over the last 12 months. We are all surely quietly relieved at the prospect of a return to normality (hopefully)! I love this summary of 2012. i can't wait for your pageant report card. Thank you for this. This shud be definatly a leason learnf. In life we make mistakes, we are human being. But it is that we stand up and learn from it. Always looking forward and not backwards. Thats the only way we can achieve a meaning and purpousful life and grasp of what pageant platforms is all about. The abilty to become an embassodor for your country and a voice for men women and child.